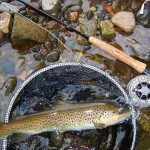 The Tenkara is the technique of traditional Japanese fly fishing whose history, set far back in the 8th century. 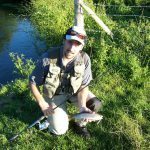 The particularity of this technique lies primarily in the simplicity of the equipment: a rod without reel, a single line and a fly. 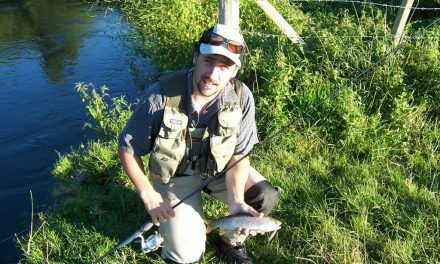 Tenkara fishing is deliberately uncluttered and minimalist. 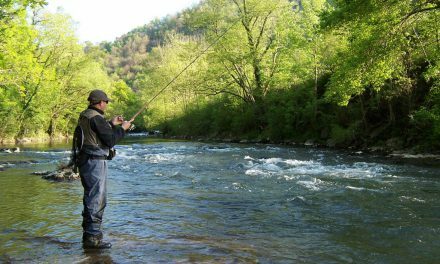 The rod (length ranging from 11 to 13 feet), very light (approx. 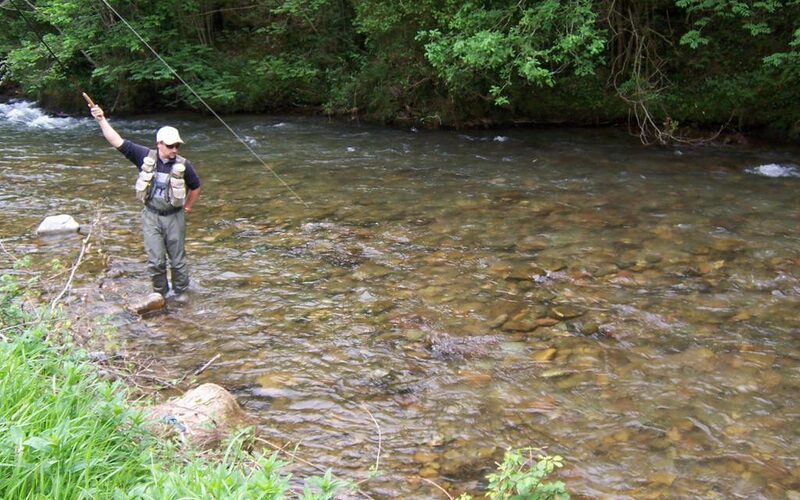 3 oz) and telescopic, measures less than 2 feet when folded, making it very convenient for fishing trips. 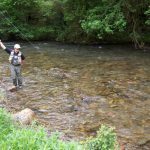 Without silk and reel, learning Tenkara is easy and accessible to everybody, by positioning itself as an alternative to the classic fly fishing. 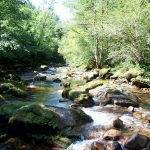 However, the practice is restricted to fishing in short and medium distances in streams or small rivers where she wonders, allowing to achieve accurate and posers to have a good drift control. 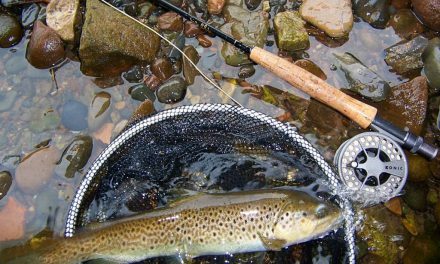 The main advantage is being able to keep his fly without draging in restricted spots, critical success factor. 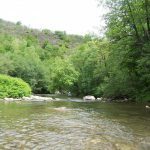 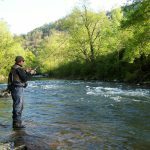 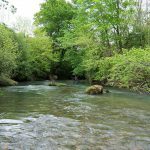 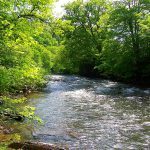 On the occasion of a classic fly fishing training or specialized training, discover the Tenkara and leave for the day with snacks and backpack, explore the streams of the Basque Country.